Learn to make quick cash with our over the shoulder live ebay training videos. 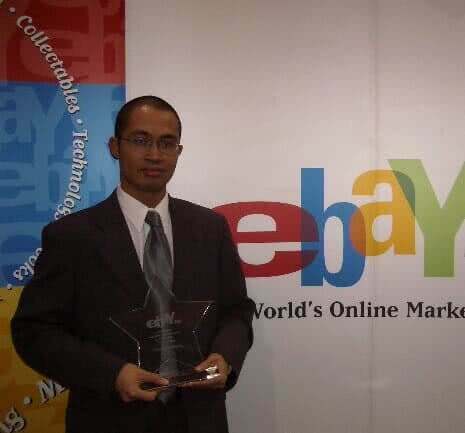 Ebay’s entrepreneur of the year award winner Francis Ochoco teaches you how. Are you looking to make some quick cash? Or maybe you’re looking to become financially independent so you don’t have to work at a 9 to 5 job anymore. Spending time with your family and friends. Helping people and contributing to society. Being able to buy anything you need or want. …I could help you get started and give you the foundation you need. After all, getting started is usually the hardest part of all. Meet Francis Ochoco, a successful eBay seller and eBay’s first Entrepreneur Of The Year. Because of eBay, he lives a life that most people would only dream of. Francis Ochoco has created a series of 28 video tutorials showing him sell on eBay in real time. 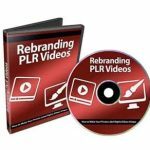 This set of videos was originally intended for his private clients only but because of this recession, he has allowed me to share it with my clients and anybody else that is in financial trouble. How Would You Like For The ‘eBay Entrepreneur Of The Year’ To Come To Your Home And Teach You How To Sell On eBay? This course is no hype, just basic information on how to make money instantly (and simply) on eBay. After watching these videos, you will be able to make money on eBay IMMEDIATELY. There’s no need for you to learn HTML, SEO, PPC, how to do joint ventures, how to do article marketing, and no need to spend many hours getting an internet business up and running. What Makes This Video Course Different From The Others? What makes this eBay video tutorial course different from most other eBay courses? One, this course shows Francis in real time selling on eBay. This way, you get to see the whole process from start to finish. Two, this course is laser focused on beginners, whereas most eBay video courses only briefly cover beginner material and then just skip to talking about advanced stuff. He literally takes you by the hand and shows you each step in this video tutorial. In essence, this course provides the foundation you need. Once you have this foundation, making money on eBay becomes much simpler. What Makes This Video Course Better Than The Others? There are a lot of excellent eBay courses out there so I’m not going to say that this is the best. This is one of the most up-to-date eBay courses you will find. This video shows Francis going through each step of the registration process. You need a PayPal account in order to receive money from customers on eBay. Here, Francis shows you how easy it is register for a PayPal account. In this video, Francis quickly covers what you can do in your “My eBay” page. This is a simple process many people don’t know how to do. He shows you how easy it is in this video. It’s important to know your profit margins on eBay so in this video, he’ll talk about the fees you can expect for the various types of listings you can post on eBay. Before you start selling on eBay, make sure the item you plan to sell is allowed on eBay. Or, if it is allowed on eBay, know what the rules are for that item. In this video, he shows you where you can go to get free eBay tips. Most people know that having a high feedback score is important for your reputation on eBay, but most don’t know the other benefit’s of having a high feedback score. In this video, he also covers how eBay’s latest feedback system works. There are different types of eBay listings you can post and in this video, he talks about the ‘auction’ type and when you should use it. There are 2 types of fixed price listings and he will tell you in this video which situations to use them in. Here, Francis give examples of the different types of multiple item listings. In this video, he tells you how eBay Classified Ads work, which categories on eBay you can list Classified Ads in, and he shows you an example of one. Here, he explain what a reserve price is, what situation you would use it in, and he shows you an example. It’s important to know how to search for items on eBay so you know how your auctions are found by your customers. The more knowledge you have, the better you will be at increasing traffic to your auction listings. Before you start selling on eBay, it’s important to buy items first so that you can get familiar with the sales process. Watch Francis as he buys something and pays through PayPal. After buying and receiving the item, he shows you the process of leaving feedback for the seller. Here, he explains why it’s important to have multiple eBay accounts. Watch what he does to ensure that he is able to sell his product for a high price on eBay. Now you get to watch Francis list a product on eBay. He goes through each step in detail and that is why he has broken this process into 5 videos. In this video, he chooses the category that he’s going to list his product in. He has a few options to choose from and he’ll tell you the strategy behind choosing the category to list in. Here, he shares with you a couple of tips on how to make your title catchy and grab buyers’ attention. He even shows you how to make your listing show up more in search results (using a free feature on eBay). Here, he enters the product description and selects the listing format. Francis also shares with you a tip on how not to turn off customers. In this video, he provides tips on entering your shipping information. And, he’ll tell you how to get more bids. In this video, he reviews his listing before it goes live. He also tells you about the listing upgrades and when to use them. Francis analyzes the results after his item has sold. He tell you why his listing got over 100 unique hit’s while his competitors only got 4 unique hit’s to their listings. Watch as he goes through the process of sending an invoice to his customer. You’ll see how quick and easy this is. You’ll also see how to give discounts. He share some tips here on shipping your product, including creating and printing a shipping label from online. Earlier, you saw Francis leave feedback for a seller. Now, you’re going to see him leave feedback for the buyer. Leaving feedback for the buyer and seller is the same except for a couple of differences (as a result of eBay’s new rules), which he points out in this video. The last step is to communicate to the buyer and ensure that their buying experience was a pleasant one. This is important so that you can establish a good relationship with your customer, which will result in he/she will becoming a repeat customer of yours. He also shows you how you can use this process as an opportunity to market your website. And, he shows you how to make this a quick and simple process that you can easily outsource to your staff.